possibly Racine College schoolmate 4th row 4th from left. Dedication on the back states "July 1910", probably written at that time. 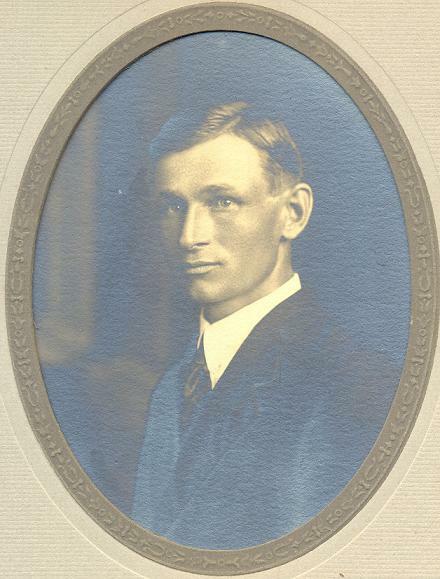 The photo below was the only photo in the personal bible of William W. Landis. The left two people (below) are probably the two people above. The photo below was owned by Katherine (Gamer) Burdick, copied from a website of the Burdick family (displayed there as an "unknown" image?) . Kate's grandson (Gary Burdick) speculates that the image is that of a brother of Kate (all listed in the 1900 census). 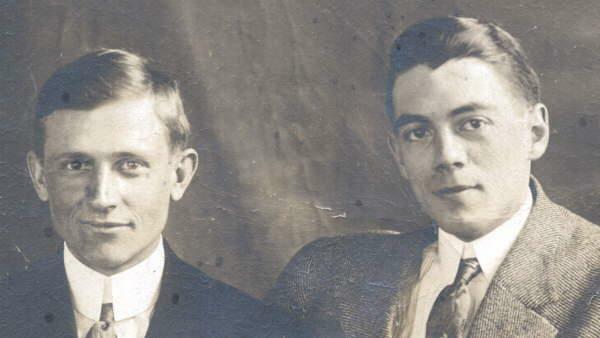 The brothers closest in age to William Landis are Herman and William Gamer, from Litchfield, Minnesota. 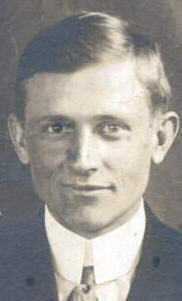 The Burdick family married into the Landis family in 1936 through the daughter Dorathy Landis of William pictured above. 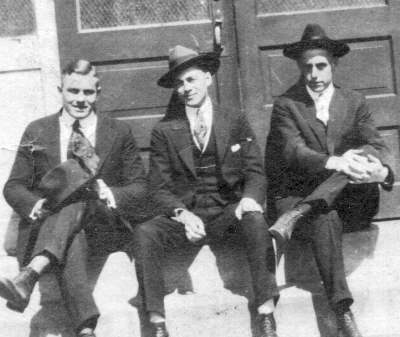 However, this connection is too recent to explain how the person below would fit into the life of William Landis above. The resemblance may be merely an illusion.